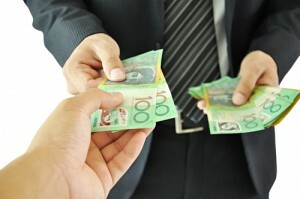 Private finance companies have become an important lifeline for small and medium businesses in Australia. When banks and financial institutions have squeezed their credit lines, private funds have become competitive players in the industry. Since private funds mostly provide secured lending to businesses, their loan screening is less encumbrance. The rate of interest offered by private finance companies is also attractive and hovers around 1% to 1.5% per month. There are several other benefits of obtaining loans from private finance companies. Fast processing time, lower eligibility criterion and flexible terms and conditions are some of them. Loans can be taken for leasing and equipment finance, operational expenses or for business expansion. Loans can also be used for mergers and acquisitions. Most of the private finance companies have strong financial backing and raise funds on a continuous basis thereby maintaining a healthy loan book and adequate reserve funds. Business finance is a constant requirement for any business and without adequate cash flow a business can run into trouble. In such a scenario taking advantage of your home equity with a home equity loan can be a good idea. Leveraging the equity of your home to generate cash flow in difficult times often proves to be the best option since home equity loans have competitive interest rates and flexible terms and conditions. Since a home equity loan falls under the category of secured funding, lenders look to the equity when approving the loan provided the property has clear title. Home equity loans are normally taken for funding operational expenses or capital expenditure. The tenure of a home equity loan is generally for a short to medium term duration. However extending or “rolling over” the loan is common especially when the loan is taken for capital expenditure and the return on investment is a gradual process. There are several important things that one needs to know before obtaining a mortgage. Your mortgage will have significant impact on your family or business and therefore thorough due diligence has to be done before applying for a mortgage. Some of the most important points that need to be verified are interest rates, repayment period and other terms and conditions. The current variable interest rates in the Australian market hovers up and down all year and is relative to the Reserve Bank’s cash rate. Given the current economic situation, the Australian reserve bank is cutting down on interest rates to boost the economy. Therefore it is good time to look at the interest rate on your mortgage. A fixed mortgage may make better sense as interest rates keep on changing and the economy may come out of the downturn. The need of funds is always of prime importance in running a business. If the cash flow falls below a certain threshold there is always a risk of slowdown in business operations. Whenever cash in bank falls below the benchmark, it is time to pull additional resources and raise the level of cash. There are many ways of doing it and an equity loan from a private funder is a good option. A business owner can get a loan of approximately 60-70% of the equity value of the real estate security. The equity value of a home is calculated as the worth of the home at today’s market value and the amount of money that is owed to mortgage. Generally, the loan amount for an equity loan varies between $20000 to $2000000 depending on the business and the equity loan requirement. Unlocking the equity of your home makes sense in some circumstances because it helps you to raise cash instantly without the need to provide documents and financials to the bank. Though there are several ways in which funds can be raised, an equity loan makes better sense when time in deciding in crucial. An equity loan can be obtained by any business owner. It doesn’t matter what type of business you run. However certain types of businesses require further enquiry more than others. Businesses such as retail, manufacturing, transport and logistics are a few of the common businesses helped with an equity loan. The repayment terms and conditions of an equity loan are similar to any other loan products. There is a fixed time period within which the loan has to be repaid and the monthly repayment amount is fixed at the beginning of the loan term. Generally equity loans are taken for a short to medium time frame ranging from 6 months to 12 months. A subprime loan is offered by specialized mortgage lenders to buyers who do not fall within the ambit of traditional mortgages. A subprime loan can be offered to people who do not have a very good credit history, self-employed people who do not have tax returns or do not have a good financial history. A subprime loan can also be extended to individuals who have spent less than 6 months in their existing jobs or to new businesses. There is lot of ambiguity on the qualification factor for subprime loans. Banks are not ready to offer subprime loans because of the poor financial health of the applicants. However, private lenders offer loans to these borrowers when they have cash or equity to reduce the loan to value ratio. Entrepreneurs and Business owners usually need a business loan or finance their enterprise with the right business loan. A business loan can be short term to medium term arrangements and are tailored to fit the requirement of the business owner. There are several reasons why a business owner may need to obtain finance i.e for operational expenses, capital expenditure, organic growth and the list goes on. The basic requirement of a business loan should be easy repayment terms and no hidden charges. Typically the loan should be processed within 24-72 hours after the documents have been submitted. If the loan is required to start a business there are certain factors that need to be considered before applying for the loan. The business owner should ideally have security available for a loan of 60%-70% of the value. This is a benchmark that is followed by banks and financial institutions in Australia. There are many private funds that are ready to finance your business at this time. If time is of paramount importance then applying for business finance with a private fund makes more sense.